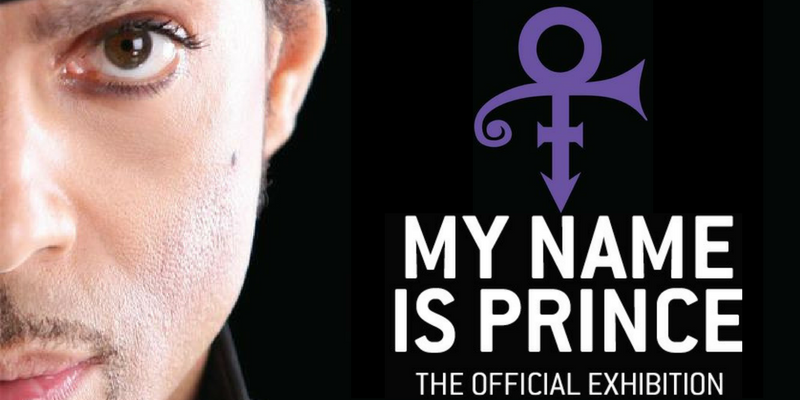 So last week I took a pilgrimage to London to check out the ‘My Name is Prince’ Exhibition at the O2. As I’m sure my regular readers will know I’m a bit of Prince fanatic having attended many of his shows over the years as well as picking up all of his official and 100’s of his unofficial releases. Originally planned by Prince to tour with his ‘Piano and a Microphone tour’ which had only just started its run when he passed away, it has now been added to by his estate to tour as a memorial. The exhibition is incredibly well put together and follows a linear progression through his life and releases from signing to Warner Brothers and the release of his album ‘For You’ in 1978 through to the Hit and Run tour. Each key part of his career is detailed well from these early albums through his blossoming superstardom with the release of 1999 and onwards through all the films and tours. There are especially excellent displays for Purple Rain and his run of 21 shows at the o2. There is an accompanying audio presentation which works by typing in numbers on exhibits which gives you a brief description of each exhibit and back ground information for the era. It also hooks up to the many screens around the exhibit playing Prince videos, concerts and clips from his films. The audio descriptions are really well done, never overpowering but definitely making sure that all the important information is covered. Each section details the guitars and instruments used both in the studio and for the live tours for that specific era. There are also many incredible outfits that he wore, you can check them out super close up and then watch him wearing them on the videos and tours on the screens. Many of his most famous outfits are there and immediately recognisable including the Purple Rain jacket and Raspberry Beret cloud suit. Up close and personal with the outfits you get an idea of just how diminutive a character he really was in real life which when you consider his truly spectacular stage presence is really quite incredible. Throughout the exhibition is tied together by handwritten song lyrics, production notes and even film scripts which give you a glimpse into his mind as he navigated his career. The guitars on show range from a copy of his favourite Hohner Madcat Telecaster that he bought for $30 at a gas station to the L65 Gibson that he used on his American Bandstand appearance. The orange custom made cloud guitar he used during his 1997 superbowl performance is also on show. The range of guitars and basses is really quite incredible and each has a story to accompany it. For the diehard Prince fans out there, there is also a VIP exhibit which costs a little extra but gets you up close and personal with some really incredible exhibits including the 3rd eye Sunglasses, the ‘My name is prince’ veiled hat, all the items he would take on tour including soap bag, makeup boxes and even a whole flight case of clothes that he had taken on his last Australian tour which were never unpacked. This part of the exhibition also features some really interesting hand drawn clothes designs that he used to send back and forth with his designer when they were working on new costumes. The real highlight of this section is that you get to hold the Taylor electric-acoustic guitar that he used for his MTV unplugged session, a magical experience even if you’re not allowed to play it. My Name is Prince is a really fantastic exhibition, for die hard fans and Prince newbie’s alike, there truly is something for everyone. Make sure that you spend that little bit extra and take the VIP tour as well the guides are incredibly knowledgeable and the extra displays are fascinating, offering a much more personal look at Prince. It takes around 90 minutes to navigate the main exhibition and another 30 minutes in the VIP exhibit and you will come out with a feeling that you are just a little closer to understanding the mind of one of the most mysterious yet greatest performers of all time.